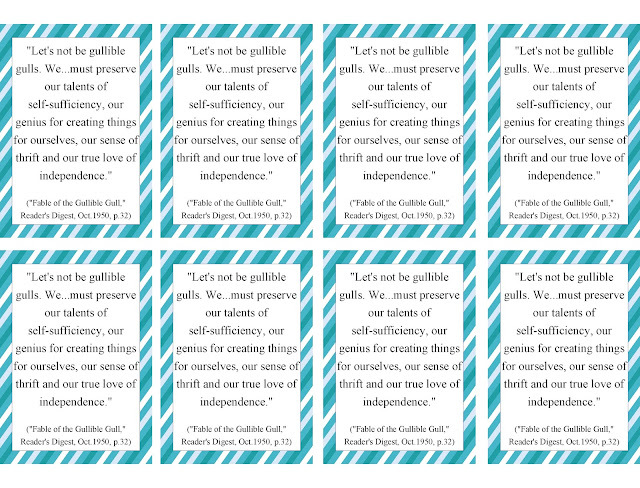 From Marion G. Romney's October 1982 conference talk "On the Celestial Nature of Self Reliance." 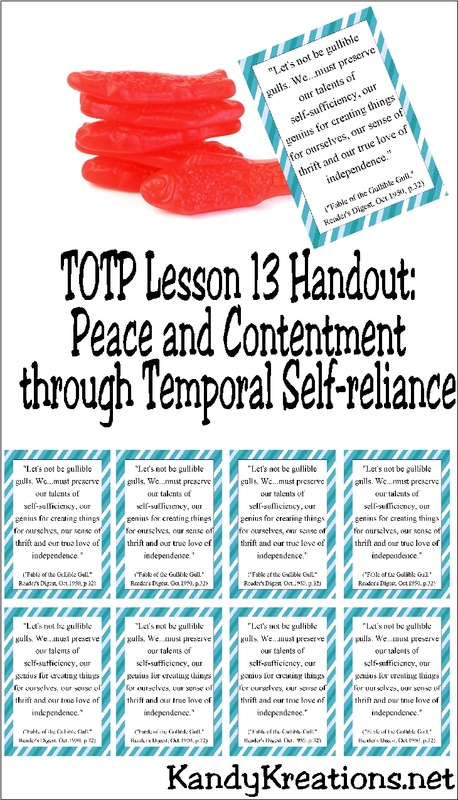 you can get these tags for your lesson handout. 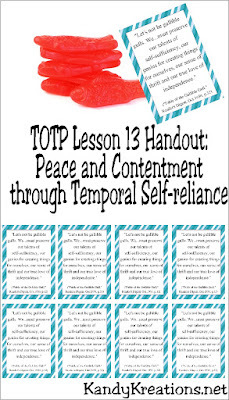 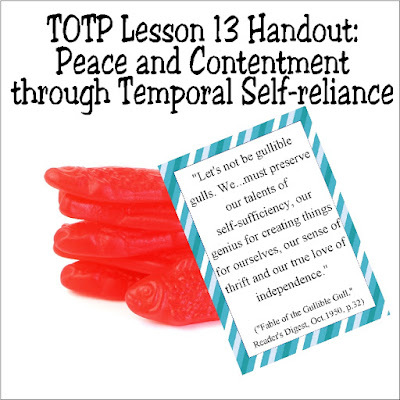 If you are teaching the LDS lesson 13 Peace and Contentment through Temporal Self-reliance, you may want to consider this handout based on Marion G. Romney's October 1982 conference talk "The Celestial Nature of Self-reliance." 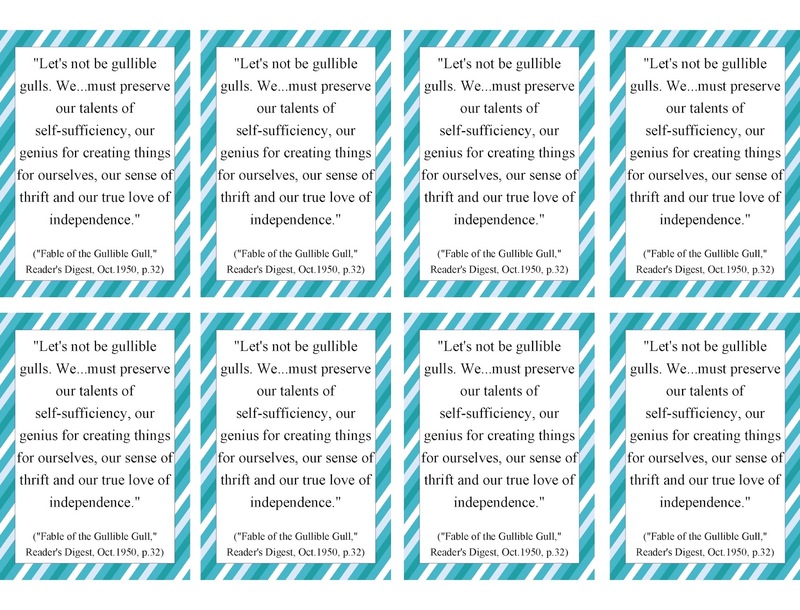 I paired his last statement with some Swedish fish to remind us to keep fishing on our own and not be gullible-gulls.